In keeping with the church’s bylaws, twos ago Sunday we had a congregational vote on our budget as well as our elders up for reelection. The budget was approved with a 99% approval rating. Each of the elders were confirmed by over 99%. 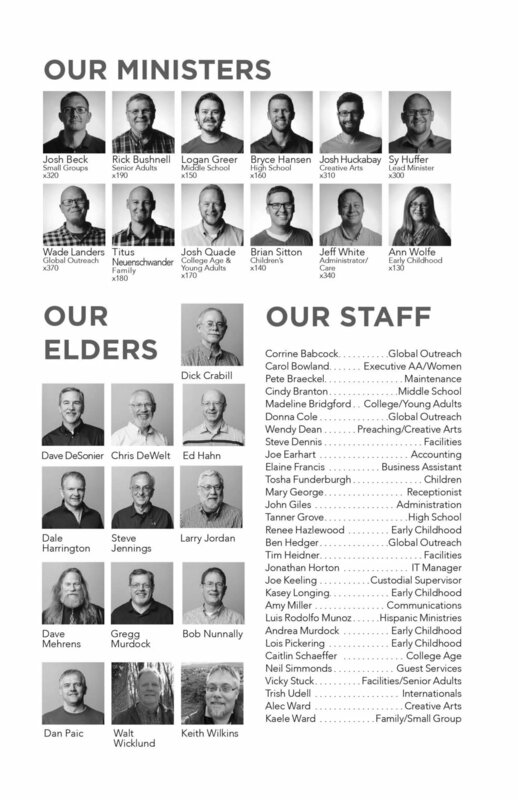 You can find our current elders as well as ministers and staff below.